Experience the gorgeous transformation of three lucky brides with WeddingSutra on Location at SVA By Sonam & Paras Modi. 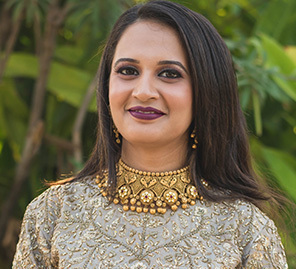 The latest edition of WeddingSutra on Location, in collaboration with AZVA and Lakmé Absolute, brings to you the top bridal trends and style statements from some of our WeddingSutra Favorites. On a bright afternoon, the SVA By Sonam & Paras Modi store in Mumbai was filled with excitement and cheer as three brides-to-be came together to experiment with their fashion sensibilities and tuned in to their distinctive bridal style in anticipation of their respective weddings. 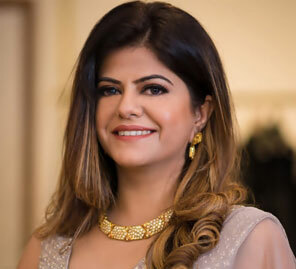 As they played dress up in their favorite outfits from the designer duo’s latest collections and exquisite gold jewellery from Azva, makeup artist Sejal Sachnakul helped them elevate their looks using products by Lakmé Absolute. Hairstylist Sujata Sonawane tended to their tresses and worked her magic to create hairstyles that were a perfect match to the attire and makeup. 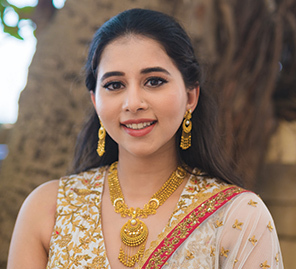 The bespoke 22-karat gold jewellery by AZVA was elemental in transforming them into visions of the beautiful brides they will be on their special day. Inspired by the seven vows, the pieces embody the promise of several lifetimes and are the ideal choice for a trousseau. To preserve this wonderful experience in the memories of the girls, Anuraag Rathi and his team worked through the day capturing their expressions and reactions in frames that are sure to be their favorites for a long time to come.